Althrough this is a book of curiousities it is also one of the most detailed books on Chester available today. 240 pages with over 150 illustrations. 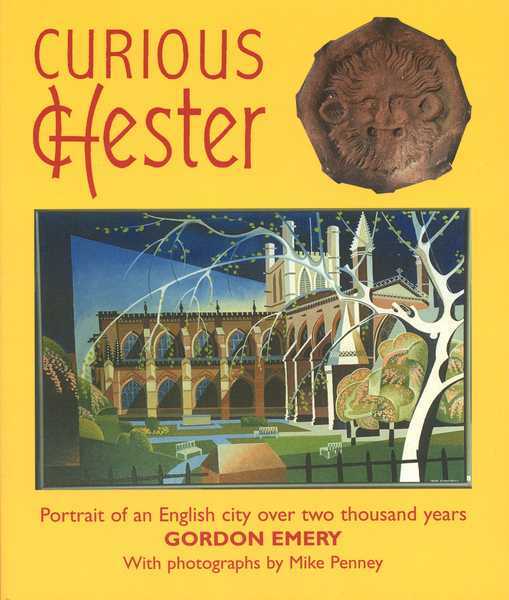 In chronological order, Curious Chester details "curiousities" from the city with a small chronology of other events alongside. Here are Roman tombstones, baths, walls and even a discharge certificate for a Roman soldier. St Werburgh's Shrine, a misericord showing her miracles, Chester's first cathedral, and stories of knights in medieval times are included. Gargoyles, the Chester bellman, England's oldest racecourse, cockfighting and the Cival War are covered, as well as balloon trips, canal passenger services and the Admiral of the Dee, not to mention Buffallo Bill's Wild West Show on Chester racecourse. With over 150 curiousities the book can be dipped into or read as a whole. Over 100 original photographs. p151 Chester Exchange 1698 - 1862 p154 The first sod was cut on May 4th not 18th as stated, this was the date it was recorded in the treasurer's accounts.